In January 1939, H.G. 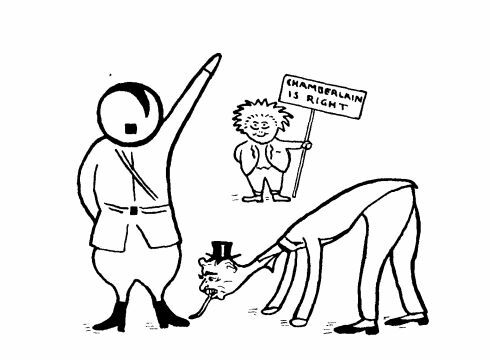 Wells visited Australia and raised the ire of the Australian Prime Minister Joseph Lyons for describing the fascist dictators Hitler and Mussolini as ‘criminal Caesars’ (among other things). Wells achieved enormous fame and notoriety in the first half of the 20th century as an extremely successful novelist, futurist, agitator, socialist, republican, radical and (eventually a rather disillusioned) utopian. Wells’ father earned a meagre and inconsistent living as a shopkeeper and a professional cricketer for Kent , his mother was a domestic servant. Wells was unhappily apprenticed as a draper’s assistant in his early teens. With a ferocious intellect, great personal drive, ambition and self-confidence, and a voracious appetite for knowledge he later was able to continue his education and obtain several teaching positions. On spare evenings he worked on his writing. 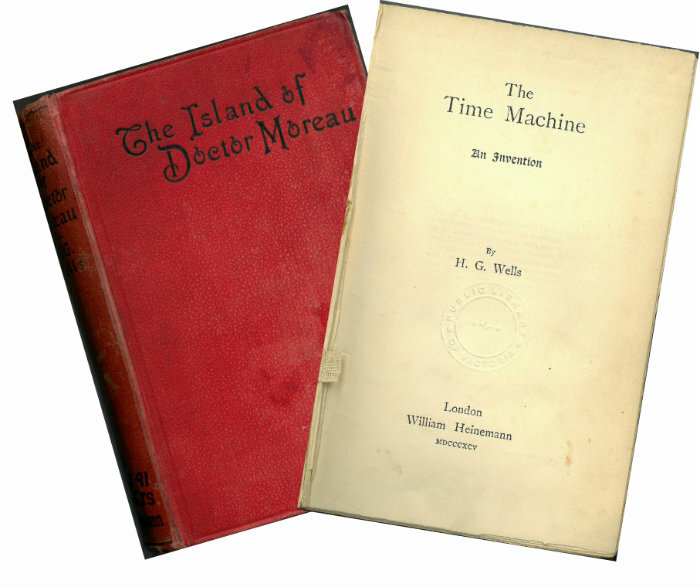 Before the end of the century he had published the novels he is still famous for: The time machine (1895); The island of Doctor Moreau (1896); The invisible man (1897) and War of the worlds (1898). A prolific writer, he published almost a novel a year for the rest of his life, together with a vast number of non-fiction titles and numerous short stories and articles. As if his writing didn’t take up enough time, he was also a supporter, and enthusiastic practitioner, of free love and ‘open’ marriage. He engaged in numerous affairs while his long suffering wife Jane typed his manuscripts and provided a stable home. The Prime Minister Joseph Lyons, following British PM Neville Chamberlain’s policy of appeasement of Hitler, chose to admonish Wells. Wells had been a foundation member of the writers group PEN when it was established in London in 1921. The organisation’s aims were to defend literature and promote intellectual co-operation and understanding among the world community of writers. Fittingly he addressed the inaugural meeting of the Melbourne chapter of PEN on 7 January 1939. 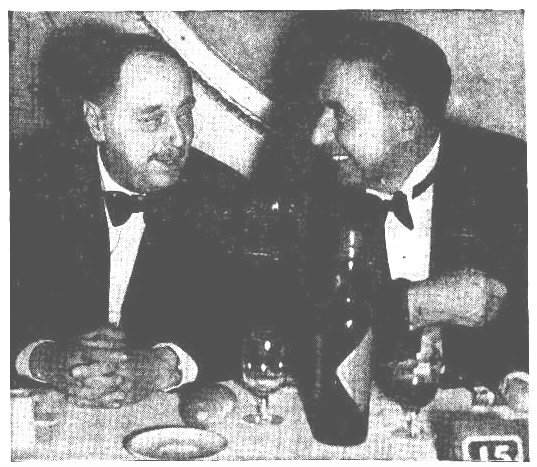 H G Wells at the dinner hosted for him in Sydney by the Australian Fellowship of Writers (with the President, probably Bartlett Adamson) Smith’s Weekly 4 February 1939: p.1. It is hard now, 80 years later, to envisage the vast level of Wells global fame during his lifetime. Here was a best-selling, prolific author who met privately, without deference, with Churchill, Stalin and Roosevelt, and whose ideas and opinions were reported and debated around the world. His visit to Australia was brief, but like the rest of his life, provoked controversy and enormous interest. The man who first described World War I as ‘the war that will end war’  lived long enough to endure a second global conflagration. The horrific evil of the Nazi regime, fully revealed to the world after the war, was perhaps even beyond Well’s imagination. He died in 1946. PEN Melbourne, launched all those years ago by Wells, is still going strong. The most famous of H.G. Wells novels are held widely across libraries. Our Library holds an extensive collection of novels, short stories and non-fiction. We also hold a large collection of works about H.G. Wells. He continues to be extremely popular with film makers with over 100 cinema and television series based on his work. Wells’ father Joseph became the first man to capture a double hat-trick in first-class cricket: Lilywhite’s cricket scores and biographies Vol viii 1861-1862 p. 297-8 “Wells got four wickets (not in the same over) with four successive balls. Namely Dean, Leigh, Ellis and Fillery!” His match figures were 6/35 and 3/7. Thank you so much for this , l am passing it on to my children as they try and cope with today’s political circus. I did not remember that HG Wells came to Australia , he was one of my favourite authors at school. So timely and l imagine that was your intention. I am so grateful for our Libraries and Trove .